I finished up with some painting, and wiring some stuff small enough to drive me to drink. In case any of y'all ever wondered what the water end of a simplex steam pump looks like. So @Iain , I see a new name in your signature block... Maybe it's been there awhile and I just now noticed. Congratulations! Top two pictures: safety wire FAIL. Even your videos are perfect -- wow! Standard practice in marine steam pumps. Now I want to do a diorama of the Beaufort, NC draw. I've been working a lot with laser-cut wood kits over the weekend. To start, I've built a CMR T-Trak double-size module in 14" depth. I'm going to make this into a S-transition module with the Kato animated Unitrack Crossing as the centerpiece. 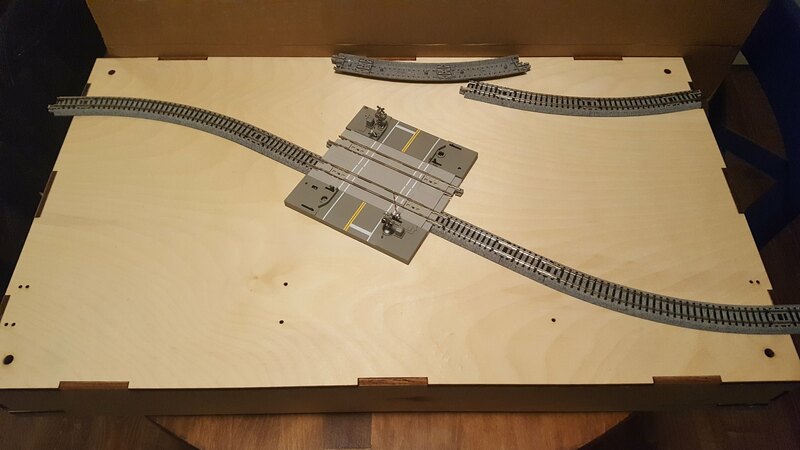 Next, I added RS Laser Kits wood decks to a pair of M-T flat cars and added an AMB crate load to one and an AMB generator load to another. 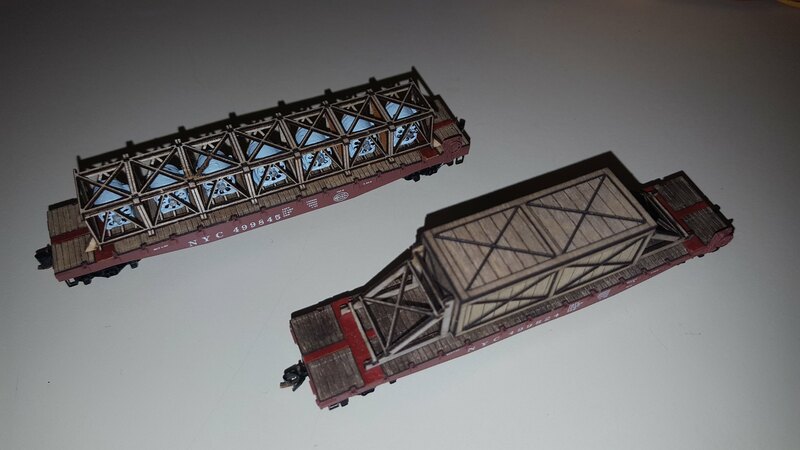 These are the first laser-cut kits I've ever built and I'm pretty happy with how they came out. I stained the deck of the crated car with a black ink/Pledge (formerly Future) floor polish wash. I might do the same with the other car. 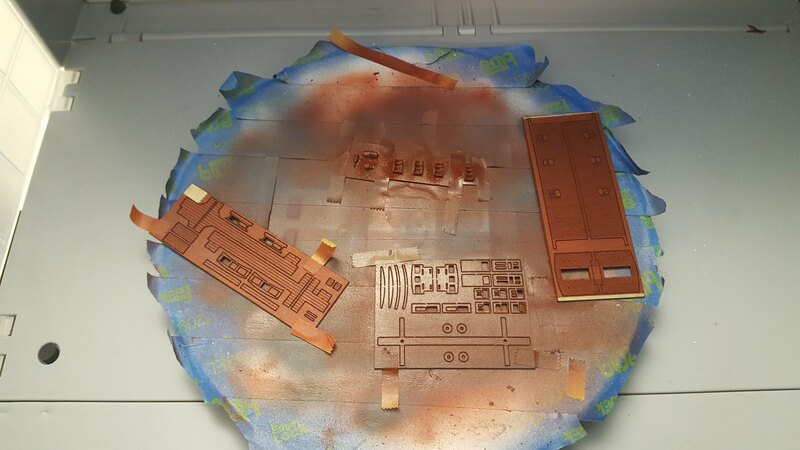 And finally I painted the parts for AMB NYC 19000-series wood caboose and started assembly of it. 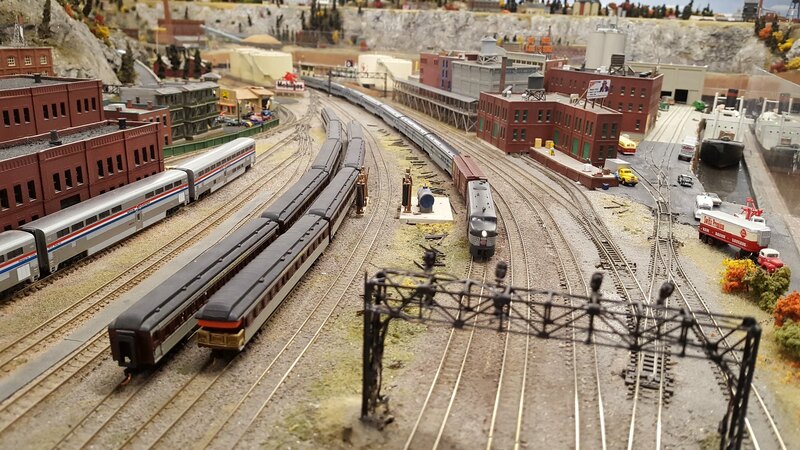 While not a weekend update, I am making weekly Wednesday night trips to the Bay State Model Railroad Museum to run some of my stuff. Here's a BLI Alco PA pulling some Con-Cor Dreyfuss coaches last Wednesday. Prototypical? No. Good-looking? Yes! I'm probably going to sell the Con-Cor cars once I find some more era-appropriate coach stock. The lift bridge video is awesome. I had that kit many years ago. It ended up as kit bash fodder. 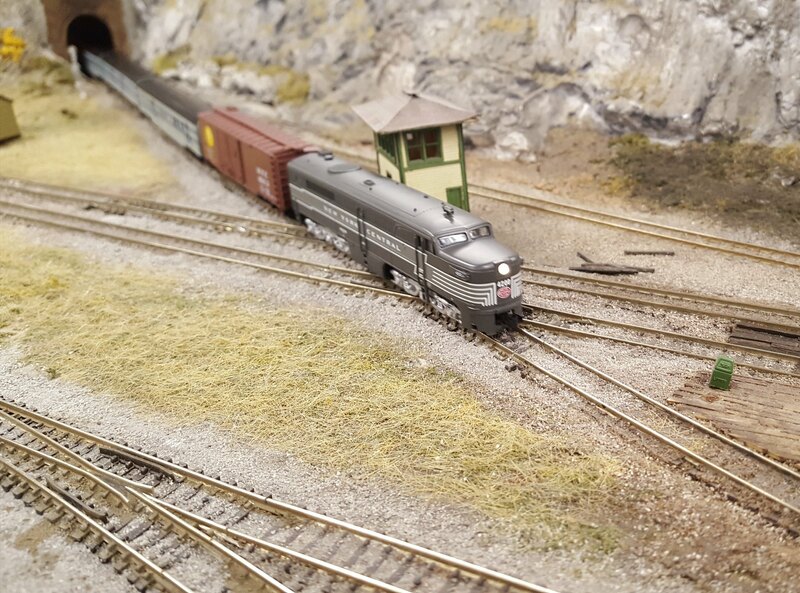 All this retro stuff is reminding me of when I was a kid and just starting out in N scale in the mid 70's. Thanks! I gotta say, it's great being a kid again. Smooth transition from foreground scenery to the background. Strong work!